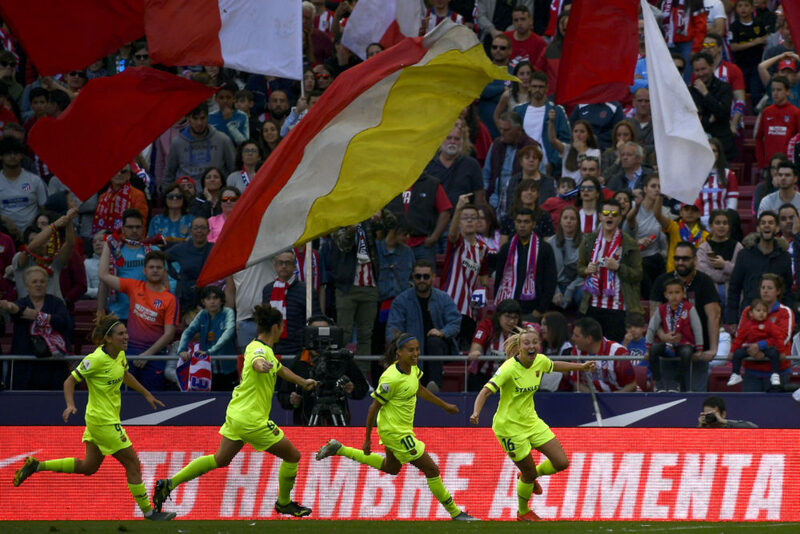 Nearly 61,000 fans attended the women's soccer match between Spanish clubs Atlético Madrid and F.C. Barcelona on Sunday. That set a record. WBUR's Shira Springer discusses what's going on in Spain — and the lessons U.S. women's sports leagues can learn. Plus, since college basketball player Tyler Herro decommitted from Wisconsin in favor of Kentucky, angry fans have sent him death threats. Bleacher Report's Mirin Fader says this kind of behavior is unacceptable. And, in the spirit of March Madness, Only A Game's Karen Given shares her favorite moments off the court. This segment aired on March 23, 2019.